Car accidents are the leading cause of spine-related trauma, which may involve severe muscle strain, fractures, disc damage, and whiplash. A common contributing factor to vehicle accidents that can result in spine injuries is distracted driving. In fact, one study of single-driver crashes found that 98 percent of those drivers were distracted. 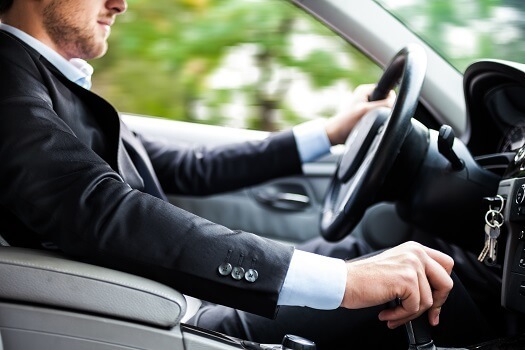 If you’re looking to keep your backbone and its various parts safe while on the road, here are some things you can do to prevent spine-related injuries due to distracted driving. It may not seem like a big deal to finish your breakfast sandwich or apply your makeup while on your way to work, but all it takes is a few seconds of distraction for an accident to occur. Think about all the things you normally have to take care of to get yourself ready (e.g., eating, fixing your tie, putting on lipstick, etc.) and complete those tasks before starting your drive. For those times when it’s necessary to take or make a call while driving, use a hands-free device to handle these tasks. Consider using specially designed voice-controlled Bluetooth car kits. Some of these kits can even activate Siri or Google Voice should you need info about directions or local destinations. No state bans all cell phone use for drivers. However, many do prohibit texting while driving. The fact that individuals who are texting while driving are fifty times more likely to be in (or barely avoid) an accident should be enough of an incentive to avoid the temptation to check text messages while behind the wheel. Even if you’re wearing a seat belt or protected by an airbag, spine injuries can still result from a collision that occurs because you’re busy with texts. Another way to reduce instances of driving while distracted is to take advantage of apps designed to prevent texting or other types of phone use while driving. Some apps even provide rewards for remaining focused on the road, such as points that can be used for discounts at participating stores. Ultimately, the biggest “reward” for giving driving duties your full attention is enjoying a healthy spine. Reach out to The Spine Institute today if you’ve experienced a back or neck injury related to a car accident or any other type of activity. If you’re experiencing severe or long-lasting pain, see a Los Angeles spine surgeon right away for prompt diagnosis and treatment. Call one of our friendly team members at 310-828-7757 to schedule an in-person evaluation.